Phonographic Copyright (p) – Gitana Publishing & Record Company S.a.s. Copyright (c) – Gitana Publishing & Record Company S.a.s. Published By – Gitana Publishing & Record Company S.a.s. 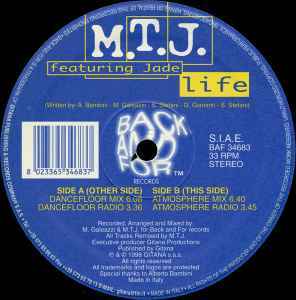 Remix [All Tracks] – M.T.J. ℗ & © 1998 Gitana s.a.s.